The mere insinuation of underhanded tactics was startling given the seemingly productive relationship between the two sides, and it was especially striking since prosecutors with special counsel Robert Mueller’s office have praised Flynn’s cooperation and recommended against prison time. 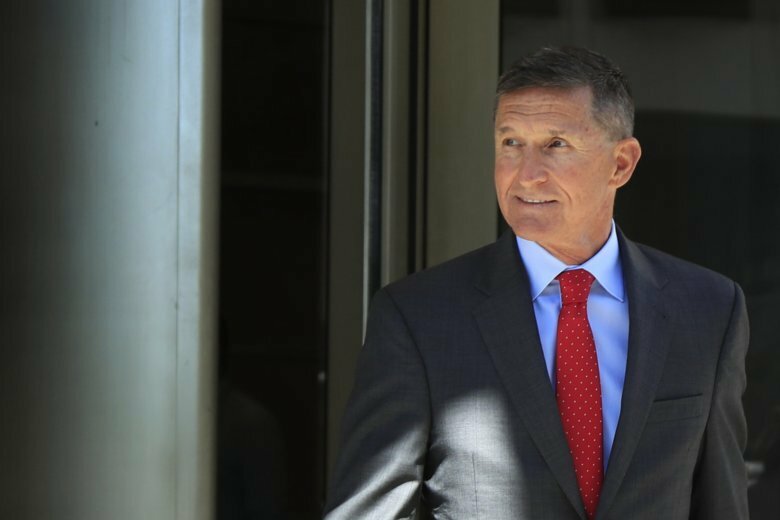 The defense arguments spurred speculation that Flynn may be trying to get sympathy from President Donald Trump or may be playing to a judge known for a zero-tolerance view of government misconduct. Until the dueling memos were filed last week, the sentencing hearing for Flynn — who pleaded guilty to lying about conversations during the transition period with the then-Russian ambassador — was expected to be devoid of the drama characterizing other of Mueller’s cases. Although Flynn and his attorneys stopped short of any direct accusations of wrongdoing, they took pains to note that Flynn, unlike other defendants in Mueller’s investigation, was not informed that it was against the law to lie to the FBI. They suggest the FBI, which approached Flynn at the White House just days after Trump’s inauguration, played to his desire to keep the encounter quiet by telling him the quickest way to get the interview done was for him to be alone with the agents — rather than involve lawyers. They also insinuate that Flynn, of Middletown, Rhode Island, deserves credit for not publicly seizing on the fact that FBI officials involved in the investigation later came under scrutiny themselves. Former Deputy Director Andrew McCabe, who contacted Flynn to arrange the interview, was fired this year for what the Justice Department said was a lack of candor over a news media leak. Peter Strzok, one of the two agents who interviewed Flynn, was removed from Mueller’s team and later fired for trading anti-Trump texts with another FBI official. Mueller’s team has rejected any suggestion that Flynn was duped, with prosecutors responding in a sentencing memo Friday that there was no obligation to warn Flynn against lying. “A sitting National Security (Adviser), former head of an intelligence agency, retired Lieutenant General, and 33-year veteran of the armed forces knows he should not lie to federal agents,” prosecutors wrote. It’s possible at least some of the defense arguments may resonate with U.S. District Judge Emmet Sullivan, who directed prosecutors to produce FBI records related to Flynn’s interview. That included portions of the notes from Flynn’s Jan. 24, 2017 interview with FBI agents. Responding to Sullivan’s order, prosecutors filed a redacted copy of the FBI interview notes Monday evening. The notes show FBI agents interviewed Flynn about his Russian contacts, including past trips to the country and his conversations with Sergey Kislyak, then Russia’s ambassador to the U.S. The notes show Flynn told agents he didn’t ask Kislyak not to escalate Russia’s response to sanctions imposed by the Obama administration over election interference. But Flynn admitted as part of his guilty plea that he did. The notes also show Flynn told agents he didn’t ask Kislyak to see if Russia would vote a certain way on a United Nations resolution involving Israeli settlements. But last year he admitted having asked Kislyak to see if Russia would vote against or delay the resolution. Court papers show Flynn made the request at the direction of Trump son-in-law Jared Kushner. “To portray him as somehow an innocent dupe, as somehow just this innocent victim in the process, this suggestion that there was a perjury trap — it’s an absurd allegation,” he said.